The December meeting and dinner are to be announced. Dictionaries have been given to Washington and Bethlehem third graders. We received first place for our Community Service projects from the State Grange. We also received a Bronze Award for honor Grange along with CWA and Lecturer’s Awards. 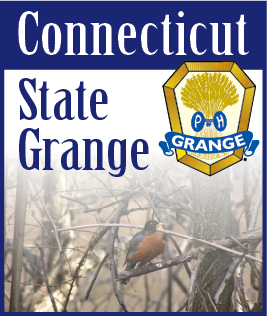 Congratulations to Rob Buck on being re-elected Steward of the State Grange, Eloise Osuch Lady Assistant Steward and Cindy Finch Ceres of the State Grange. We are now meeting at 2:00 P.M. on Sundays for the winter months- Nov. 25, Jan. 13, Feb. 10 and March 10, weather permitting. Of course, our Flea Market is scheduled for April 6. Save your stuff to sell.